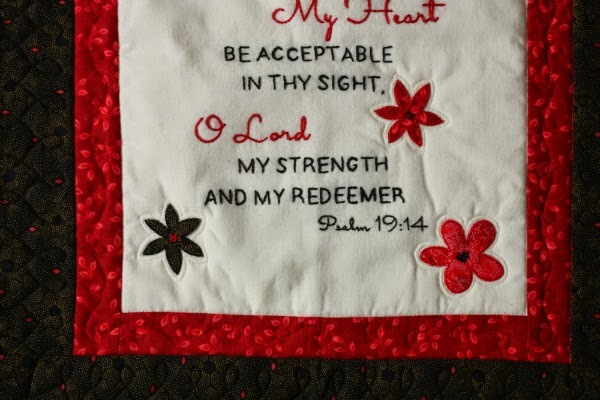 Devoted Quilter: Psalm 19 Mini - Finished! Nice choice of colors! And what lovely embroidery too. What a great gift! What a sweet gift. I enjoyed seeing your work glad you shared it. Oh it's lovely, what a gorgeous mini quilt! 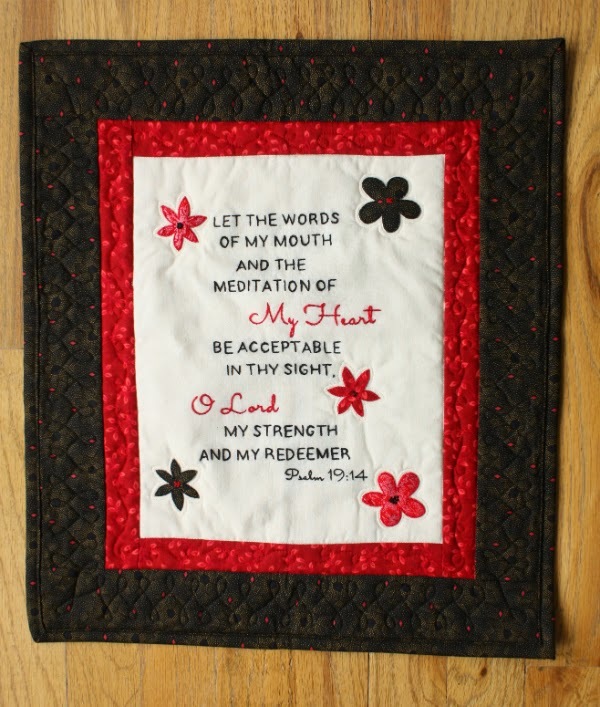 Great mini quilt. Good choice of verse. 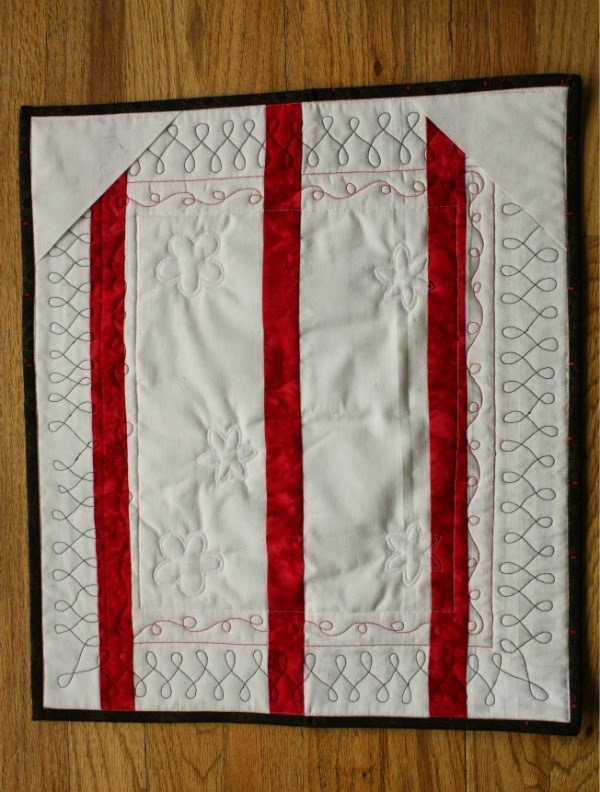 I'm jealous of your figure-eight quilting! It's so nice and even -- and the perfect finishing touch to this lovely gift.